For some of the destinations we offer The Big Blues partners with other local anglers. In this case the boats we use have always been carefully selected by us among the best in the region in accordance to our standards of safety, service and comfort on board. 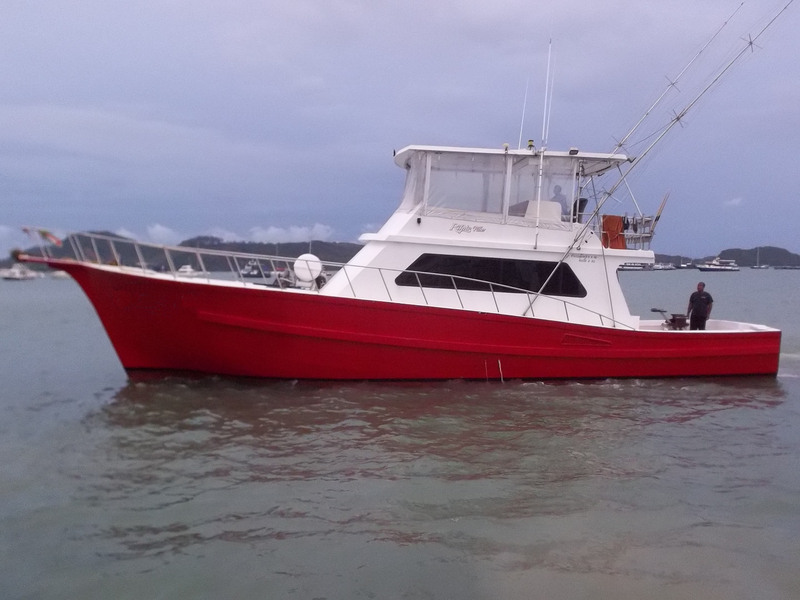 A) Finished to build in 2009, this is a big 19 m local built sport fishing boat. Up to twelve anglers will enjoy an unforgettable day aboard this motor yacht while six is the maximum number of guests allowed on live aboard trips. 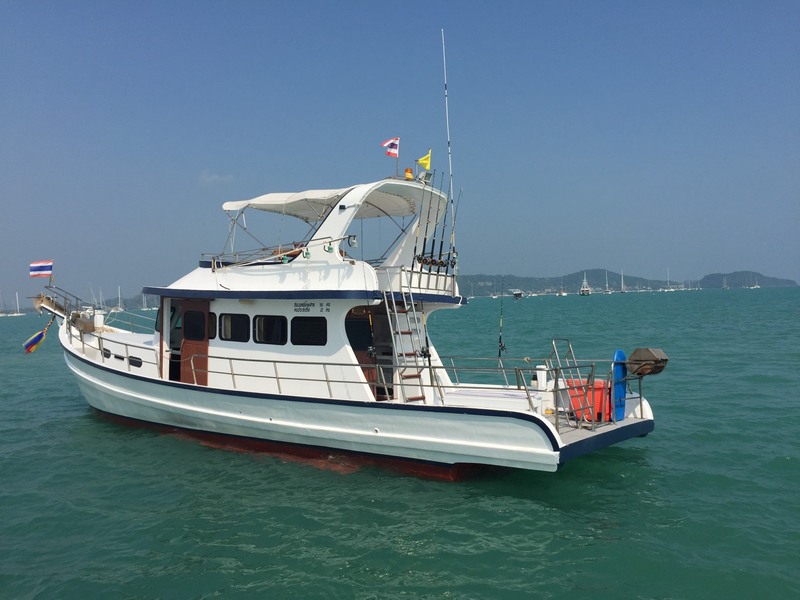 Reliable and comfortable, this is an ideal charter boat not only for fishing but also for diving or islands cruising around Phuket. The open fly-bridge with the pilot station and a U-shaped sitting area is always a very popular spot during the day. 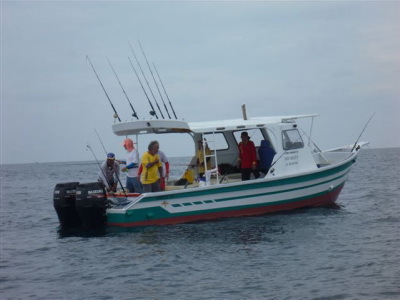 The cockpit is very spacious and designed to meet every angler expectation while the large and elegant galley with plenty of sitting complements this spacious vessel. 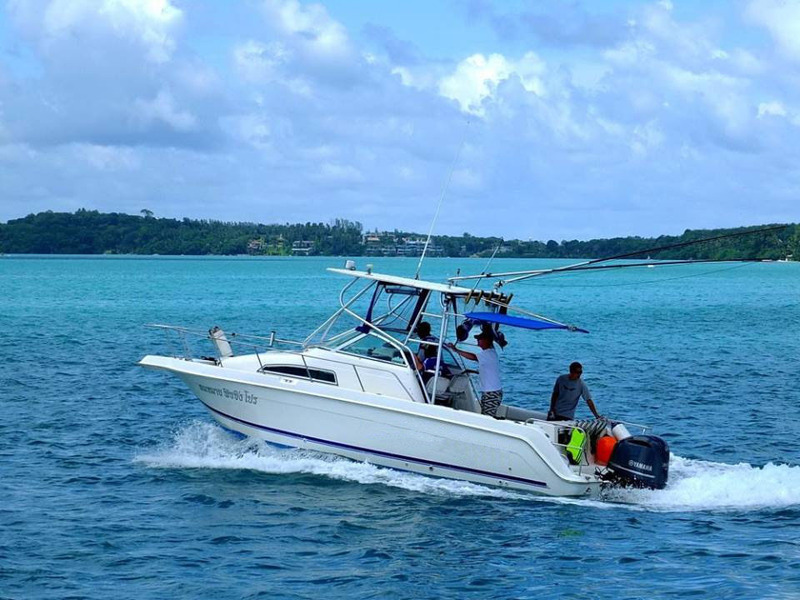 This vessel is powered by a 400 HP Heno engine which allows a 14 knots max speed and a 8 knots cruising speed. 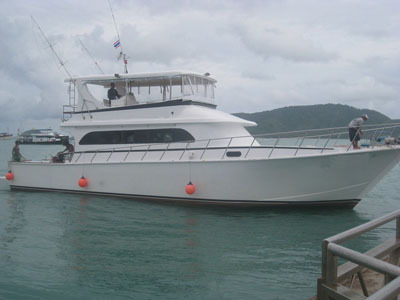 This boat with its crew has been the winner of the 2009 Phuket International Sportfishing Tournament. 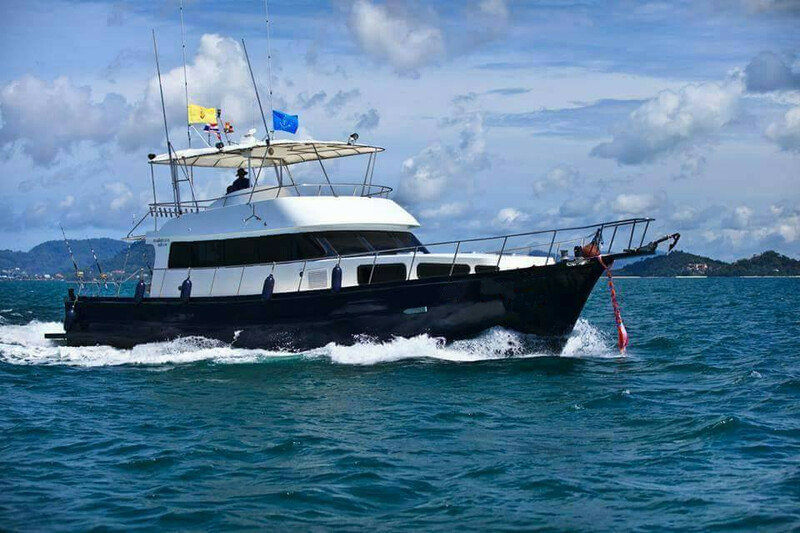 This vessel is suitable both for day and live aboard trips around Phuket in Thailand. E) This is the latest addition to our fleet in Phuket and it represents a valid alternative if you do not want to spend much and wish move fast from one spot to another. In particular it is a must for the core angler for popping and jigging around the Racha Islands here in Phuket. 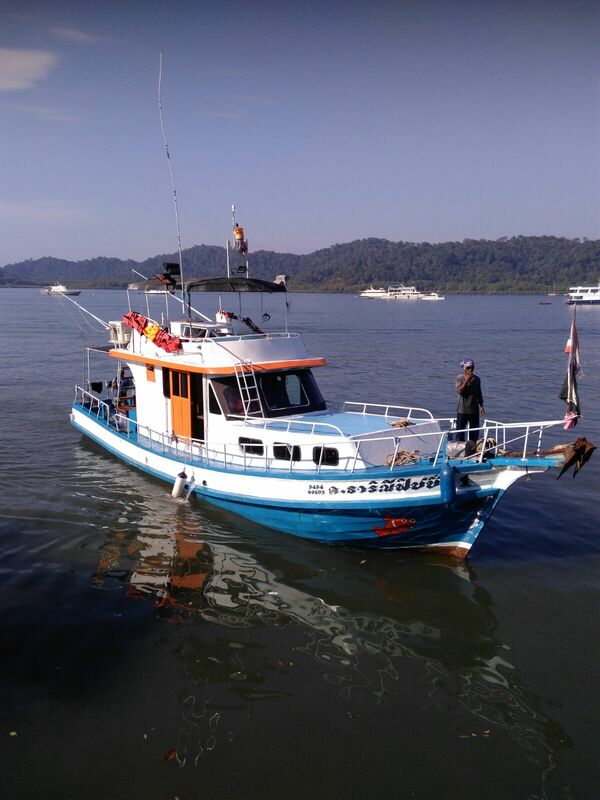 The boat is equipped with a powerful Yamaha 300hp 4 strokes outboard, standard safety equipment on board, latest GPS, fish-finder, large cooler box with ice as well as toilet facilities. It seats 6 maximum excluding the guide & captain. It is a fast boat which allow you to reach the Racha Yai Island for example in 25-30 min only, giving you more time for fishing or just relaxing while cruising around the islands.